Website comments are very important in SEO and ranking. Even you spend a whole day writing a great article 5 days a week – comments don’t just come easily. You’ll probably agree if you’re already blogging today. But how do you get comments? Here are my quick tips for you. Have you heard about the 90-9-1 action rule? 90% of users are lurkers (i.e., read or observe, but don’t contribute) – your audience will just read and watch silently. 9% of users contribute from time to time, but other priorities dominate their time – They will rarely participate. 1% of users participate a lot and account for most contributions: it can seem as if they don’t have lives because they often post just minutes after whatever event they’re commenting on occurs. – This is the only part of your users who will actively provide feedbacks or comments. When we successfully engage our audience and “break out” of this 90-9-1 ratio rule, we build a base of loyal readers who are more likely to buy from us. In this post, we will tackle 20 simple quick tricks to liven up your comments section. Do you use captcha, human-check or something before people can leave a comment on your website? You may want to reconsider to make it simple by clear all these off. Why? People are actually reluctant to leave a comment when you require extra effort from them before they can comment. Make sure that your blog does not make readers jump through unnecessary hoops before they can even leave a comment. Some commenting platforms enable such hoops by default. Usually after major updates – oh they will not notify you automatically sometimes. Check it right now if this is the actual case that prevents your users from leaving comments when they want to – and disable it. 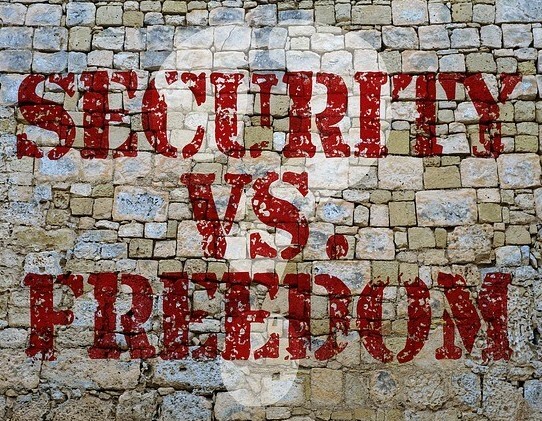 However, you’ll need to balance this with regards to the security side of your website as well. So, make sure you have an anti-spam plugin to filter out any spam comments. 2. ‘0 comments’ Line – Get rid of it. Do you have any article with “0 comments”? Make sure that your comment section never displays the dreaded “0 comments” line. In case, your website theme allows you to edit the way in which this comment count line is displayed, make sure to remove this. This is mainly because it reflects very poorly on your credibility when your visitors see that you have no comments. Seeing a post with 0 comments will probably discourage your readers to post any comment. 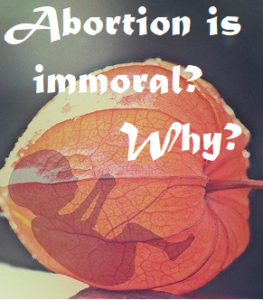 Leave a comment’ or ‘Share a thought’ will work better. Check your website and see if you can edit this line. Writing a comment for the first time is evidently proven that many people are uncomfortable with. People tend to participate in a discussion or conversation that is already going on rather than if they have to start it. That’s why when it is very normal not to get a comment right away when you an article even if it’s a great one. To get an initial comment, you can ask one of your close friends to comment on your article once you post it. 4. Post the first comment yourself. Another trick to fill out the “first slot” block is to post the first comment yourself. However, you much not do this in all your article. It must be meaningful so that people wouldn’t think that you are commenting on your own post just for the sake of getting more comments. For instance, you may provide useful links to some sources that were not included in your blog post. Some people actually make a comment – pretending to be someone else. I wouldn’t advise it. I believe in honesty as the best policy. But I know some bloggers do this trick. 5. Comment on other blogs for a return favor. If you are struggling to get more comments to your articles – then you are not alone. Comments don’t come automatically – sadly, comments come sometimes when people have something negative to say. However, to create positive comment trends in your article, you can comment to others’ blog and ask for a return favor. The best way to do this is to pick blog creators with the same expertise like yours, as their viewers may take interest in your content as well – this will allow you to gain new readers in the process. Need a great community who help each other towards success? 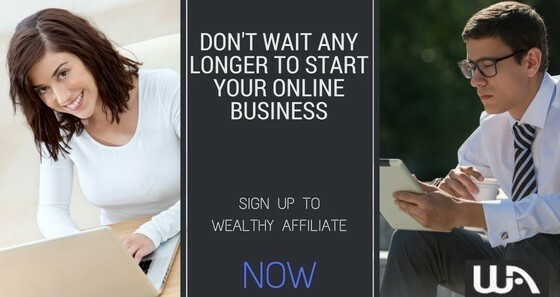 Join my secret community of successful online entrepreneurs HERE. When you conclude your article, you can end it up with an open-ended question – asking the audience for their opinions or experience. For instance, “How do you deal with such a situation?” or “What do you think about this?”. People are more likely to participate in a discussion or share their opinion when they are invited to. Ask your readers or audience a feedback, when you introduce a new product in your article – such as product review etc. As your viewers what they think about this product if they have experience or what they think about it. You implement any changes or something new in your website, encourage your readers to share suggestions or thoughts on what needs to be improved. People like to feel that their opinions matter and can make difference. And don’t forget to take your reader’s feedback and shout out individual commenters when you’ve incorporated their feedback. This trick will increase your readers’ engagement and will most likely comment again in the future. Writing controversial articles are also powerful tricks to get more comments. Go ahead a try to voice out on a controversial issue that is different from conventional wisdom or from what the majority normally thinks. Provoking your audience or readers will encourage them to express their disagreements or agreements in the comments. This is also one way of creating your brand to stand out – by having an opinion. This is also powerful because users will normally start a discussion with each other. Creating catchy headlines go in a similar vein. Your whole article doesn’t have to be controversial, but you can use a controversial headline. Just be careful not to clickbait though, as this will hurt your user’s trust and engagement for your future contents. 10. Run a contest for a giveaway. Do you already have sizeable followers and noticed that a lot of them are silent? Then entice them into leaving a comment, offer a prize contest for the funniest or most creative comment. This is very powerful as well for a just one-time fix, and you may not want to do this all the time. And expect that those silent followers whom you’ll get in touch with this way will most like fall silent again, when there are no longer rewards within sight. However, some will be encouraged to engage more with you in the future. Sending a notification of your new and fresh content to your subscribers is also a great trick. Many entrepreneurs are not using this method but some do. In reality, it is a good method to get your subscribers updated with your contents and you can encourage them to leave a thought, suggestion or comment within your email. Some people are too busy to check their social media feeds, but they still check their emails regularly. Make sure to respond to every comment you receive. Of course, except for the spammy and offensive ones that you will be deleting. Yes, there’s nothing wrong to delete any offensive comments. Express your appreciation to the people for sharing their opinions, stories or thoughts. Ask them for more details, engage people in discussion or defend your stance perhaps. When people see a genuine interest from you, they will be encouraged to hop into the conversation. If you are being inspired by other people, well-known or not, make sure you mention them in your blog posts. Use their name and link to their blog. This will probably increase a credibility on your post and these people will perhaps visit your article to leave a comment. Make sure to give them credit if your pot has been inspired by them. It is always great to get a comment from a well-known blogger, influencer or entrepreneur. And people will be more enticed to leave their comment as well when they see a well-known person do the same. Display a list of top commentators on your website (if your commenting platform allows it). Regular commentators on your blog will be proud to see their names on that list. On the other hand, others will be motivated to try to surpass them and get their bit of fame – by commenting more actively. This is one of the great methods to stir up a large number of silent audience. Announce that you will be running a Q&A session wherein you’ll be answering any questions from your followers. Invite everyone to post any questions they want to ask in comments. Another powerful method to gain more comments is to conduct a quick survey. Ask a question in your article and provide up to four response options. And then, invite your readers to vote for the best answer they like (or consider as right) by posting the chosen number in comments. You will definitely get tons of comments and engagements this way. However, the comments will unlikely be long and meaningful. Applying the above methods or maybe some of them, you will definitely get some interesting comments. Some people will ask a question or will come up with an interesting idea that you can answer in a new article. Make sure to give credit to your commenters and ask your readers their opinion about the points raised. This is then a great way to leverage your existing comments to generate more and more engagement on your blog. Cross-linking or cross-posting an article to all your social media pages is easy and fast. Sharing your content with a great effort can get a lot more comments as different people follow you on different social media platforms. 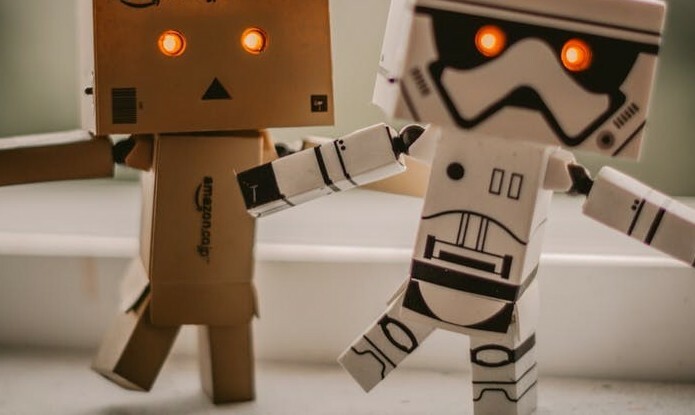 Cross-posting your article will then generate you more traffic and allows you to engage a larger proportion of your base, which results in more comments. When you write your article, you may consider talking about what you’ll be covering in the next article. 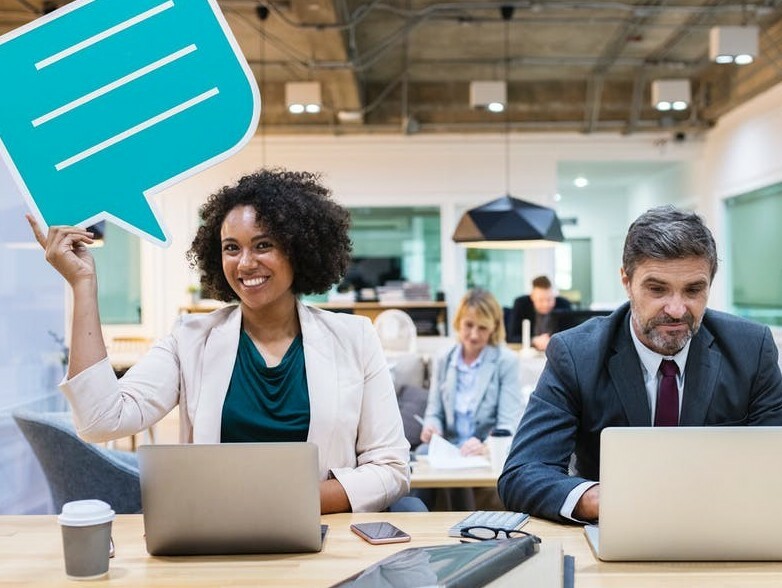 This will create an excitement and will loop your audience into the conversation, and you will probably find that people will more likely respond with their opinions about it. You will probably get readers commenting and saying that they’ll be looking forward to the next exciting topic, tips or installation of an article. Not all platforms or themes have this as a default setting. You may have to set it up manually. When your users subscribe to comments, they will then get notified of all subsequent responses to their comment. Your subscribers will then most probably return and leave another comment in response to someone else’s comment, especially if someone disagrees with their comments. Need a sure success in an online business like blogging and e-commerce? If you are a new blogger or online entrepreneur, do not let the lack of comments discourage you from keeping a blog and simply quit. It is a typical problem that all bloggers face. Applying the right strategies or tricks can help you to gain tons of comments and engagements. 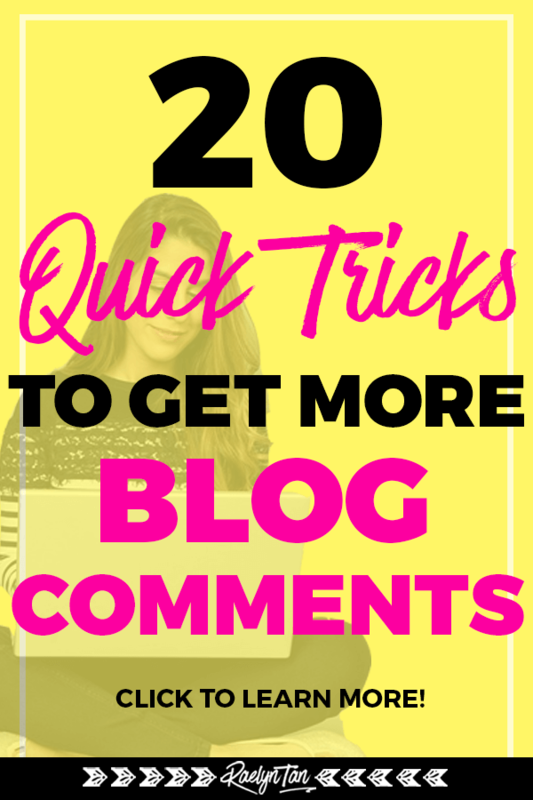 I hope that these simple “20 quick tips to get more blog comments” will help you to solve any problem in gaining tons of comments for your online business. Good luck with stirring your readers up and go get those blog comments ahead! If you have any thought or more suggestions, please don’t hesitate to leave a comment below. Good luck with your journey to financial freedom online. God bless! 3 Best Passive Income Streams -You Can Start Today. These are all really great tips to get more blog comments. It’s so hard sometimes to get the ball rolling it can seem impossible. I think my favorite comment that you left was using social media. Social media is so powerful when used appropriately because you can target and reach your audience so well. Keep up the great work! 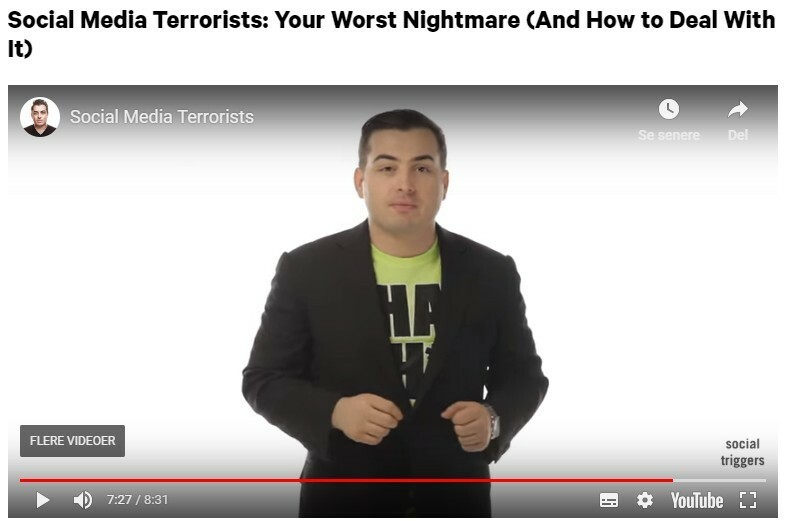 I’m so glad you found these quick tips very useful especially the social media. Social media is really powerful when you know how to use it right. We both know that isn’t always the case, and your 20 tips and your site will help anyone with a plan to blog or find there niche in the world of internet success! Thank you for the great post. I will be sure to continue to check in! Thanks for dropping by and I’m glad you loved the article. Yes it is true the organic traffic are the best but they just don’t come easily or automatically. Gain more blog comments to your post will make your ranking better and the organic traffic will definitely come in. Fantastic blog for the blogger! Firstly I never realised you could remove the comment count line, i am going to head over to my site and check this out right now! Also, great advise to get the first comment in their yourself or ask a friend too, to stop people feeling awkward to be first….its like i knew this but hadn’t considered it for my own site. I’m this post helped to find ways to improve your site as well as to gain more blog comments. It’s true, I myself don’t usually comment when I can see the zero comment counter in a post. These are excellent tips. I’m going to apply these to my blog right away. I especially love the idea of the top commenters section. Really gives you a chance to make your audience feel included. I have always wanted more comment activity on my blog but you really have to engaging to make it happen. Any tips for building an email list? It’s great to know you love the quick tips and I hope it will help your post ranking and seo techniques. Regarding building an email list, it is indeed also important. You can give some freebies to your readers such as free ebook, free training etc. You can use mailchimp, sumo or aweber for your campaign. I hope it’ll help. Thanks for dropping by. 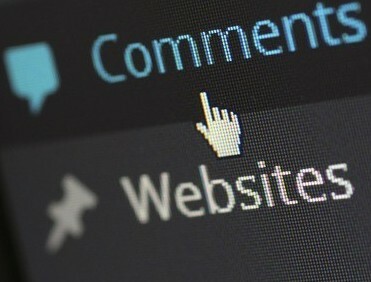 Comments are very important for your website if you want to engage your audience. Getting comments from a close friend is a good idea to get that first comment going. This is a good list of ideas for comments. Asking your reader a question is a great way to try to get someone to want to answer. I’m glad you got some good ideas to gain more comments. Indeed, comments are very important.